ML is a long time friend and a certified yoga instructor. 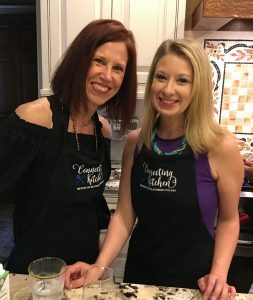 She lives holistically and healthfully and has a passion for teaching others how to do the same. I especially love her kids yoga classes. She is such an inspiration! 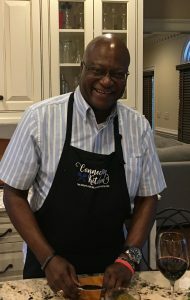 We had a lot of fun cooking and laughing and getting to know each other better. 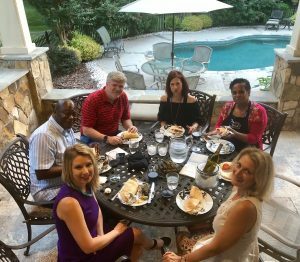 We enjoyed this delicious food that we made together! 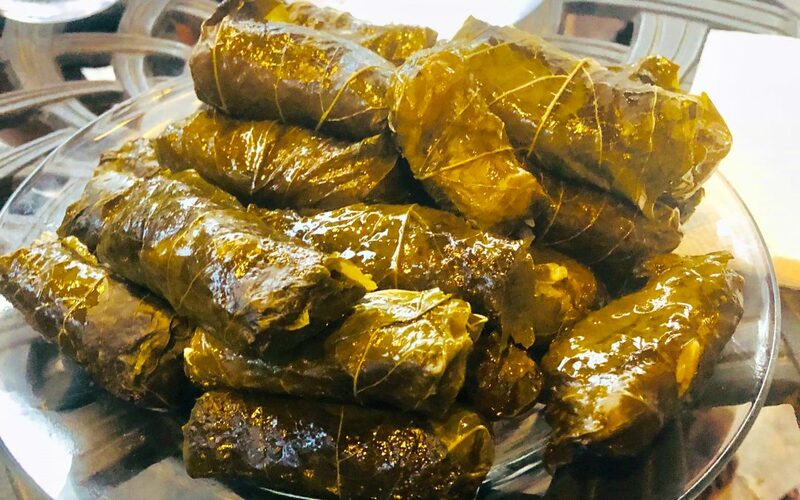 The funny thing is, I never liked stuffed grape leaves until I made them myself. I guess I proved my own point. Below is the recipe for the Greek Chicken. 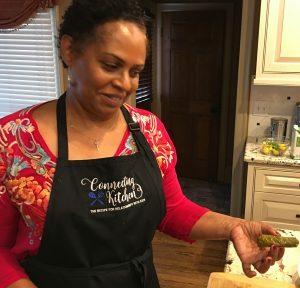 If you want to learn how to make the Stuffed Grape Leaves you will have to come to the Connecting Kitchen. Pound the chicken to tenderize. Mix olive oil and all the marinade ingredients in a plastic bag or shallow pan. Add the chicken to the bag or pan and coat with the marinade. Seal the bag or cover the pan with plastic wrap and let marinate in the refrigerator for 2 hours or overnight. Remove the chicken from the marinade and heat a cast iron skillet or a frying pan on medium-high heat. Add the chicken to the pan. There should be enough oil in the marinade so that you don’t have to add oil. Cook the chicken for 5 minutes a side or until cooked through. Mix all Tzatziki Sauce ingredients together. 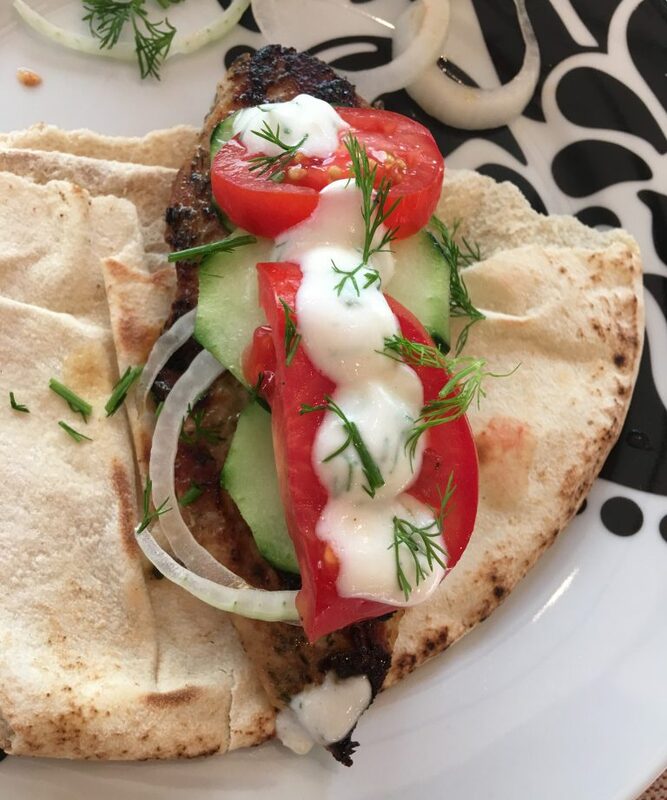 Wrap chicken in warm pita bread with Tzatziki Sauce, tomatoes, sliced onions, sliced cucumbers.